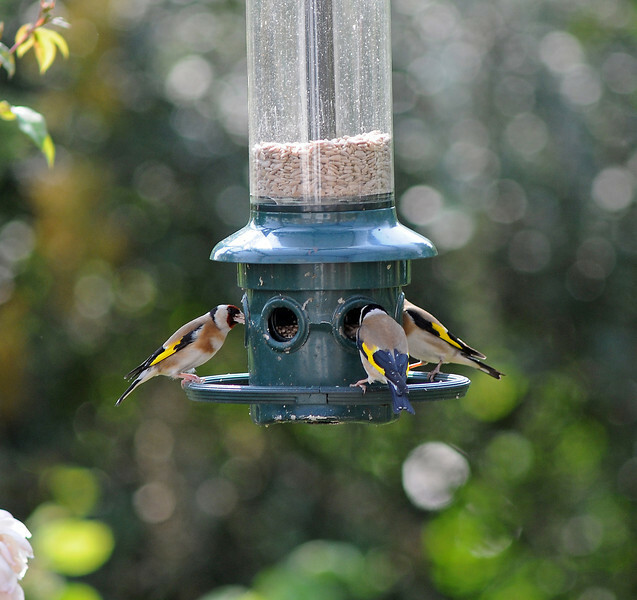 Working from home on Friday I was disturbed by the large number of goldfinches on our seed feeder. They are very quarrelsome birds, forever chasing each other off. This was one moment of calm.